My next door neighbor, from a family that values the traditional self-sufficiency skills, is an avid maker and consumer of apple cider. Every year he is out with friends in the fall making gallon after gallon of delicious fresh cider. For the most part, he stores it in a dedicated freezer, having developed the habit of drinking cider regularly throughout the year. I, on the other hand, have realized that I rarely think to drink fresh cider if it is in the fridge. However, hard cider is another matter- that I will definitely remember to drink! Last year was the first year I had taken part in cider making. I was quite proud that my apple tree had a strong harvest for the first time in many years (it was very neglected and overgrown when we moved in) and I was glad to have a good use for my apples. When I do something for the first time, I like to do it in the simplest fashion possible. For cider this meant using pretty much only my apples, relying on wild yeast, and using limited sugar. I made 9 gallons 4 of which had no sugar, 4 had a half cup, and one had a cup. Some of the cider was amazing, hearty, and strong, but other gallons developed mold and were never good. (In some instances you can punch the bottom out and drain it without the mold and it will be good, but all of those ones were foul. I learned that for taste and yeast one should always mix apple varieties, and since the yeast comes from the apple skin. In this pressing I made six gallons, with various ratios of mixed apples, and sugared one gallon a quarter cup, three a half cup, and two a full cup. A lovely antique cider press. Patent issues 1872. My neighbor has a beautiful classic cider press that has been in his family for generations. The wood has been rebuilt several times (my neighbor is also a talented furniture builder) but the metal has been in his family for over 100 years. It’s a pleasure to work with this machine- and to think about an era where things were made of high quality materials, cared for, and passed on. Apples being rinsed. It’s best to use apples from several trees. After you have the apples they need to be washed. We put them in a large old cooler in water and make sure they are moved around and mixed. After this, they are transferred to a five gallon bucket with holes in the bottom and spray them with water as it is filled. You will want two of these buckets to avoid a bottle neck in the process, as you will want to move the clean apples next to the press. Apples ready to go through the grinder. From here, it’s time to start cranking the apples! This is a straightforward process, you basically just run the crank fast and let it shred them. Beneath the chute you will have a round wooden container that does not have a bottom but is lined with mesh. 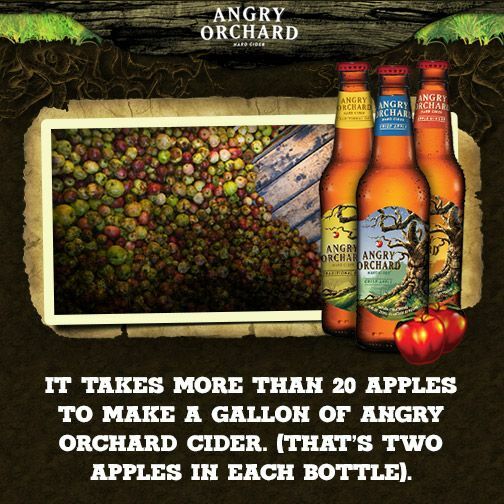 At this point you also need a bucket in front of the press, as apple cider will start to drain out of the machine! You want to make the bucket very full, because otherwise the screw on the press can bottom out before it has squeezed all of the cider out. Once the bucket is full, slide it forward, pull the mesh over the apples, and cover it with a pressboard. At this point is is time to press your cider! The apple buckets. On the left you can see the apple press doing its magic. tight you will want a tool to gain leverage- we use an old chair leg which is square on top and is the perfect shape. Continue to twist, occasionally giving it time to drain and free up space. If you turn the machine you’re twisting too hard! I don’t have any fancy storage equipment, so I just need to drink a lot before it becomes too strong! I’m going to try putting some in mason jars with a touch of sugar to see if i can get it carbonated. (Cider does not become carbonated on its own in a basic brewing process.) Due to the vapors released in the fermentation process, it cannot be left fully sealed in a milk just for any long period of time. In the end, if all goes well, what you get is a healthful, good tasting, and strong alcohol drink which requires little work to make and is very enjoyable to drink. You just need to know someone with a press! We are pressing again in two weeks, I still have at least three quarters of the apples on my tree are left! Have you made cider before? What equipment did you use? How did it go?